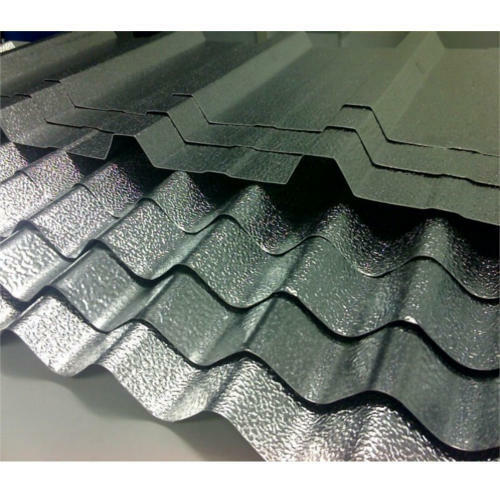 We deal in Galvanized Roofing Sheets of Tata brand. Founded in 2013, we 'Arihant Steels', are the leading manufacturer, trader, distributor of Coloured Roofing Sheets, Curved Sheets, SS Roofing Sheets, etc. We continue to focus on filling our clients' needs completely. Our on-time performance has been consistent. Each raw material is thoroughly tested on various quality parameters before utilizing it for the production process. Available in customized designs, these products are used in construction, engineering, road signs and other applications. Apart from this, we have instituted strict quality control policy in order to ensure the delivery of qualitative products in the market. The products we offer to our clients have easy installation, low maintenance, waterproof and fine finish.